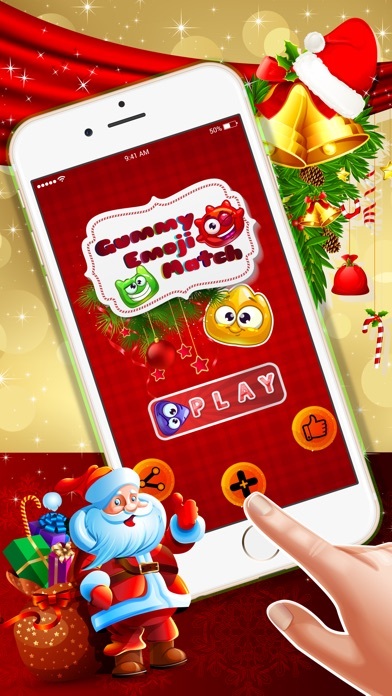 Gummy Emoji Crush Welcome to a Whole new Match 3 game..a seasonal game ever..this is Gummy Emoji Crush A beautifully themed and well crafted game for any ages. levels of difficulties and fun. lets make this Christmas more beautiful with these Funny Gummy Emojis Match similar shape and colour Gummy Emoji vertically or horizontally as you wish and make a big blast. It is simple,simpler and simplest game ever. since it is designed for any ages so we have taken care of all particulars. no confusion levels. fast and fluid game play. All you have to do is just click play and you are in. It has no comparison with any of the existing games. since it is made simple for everyone. 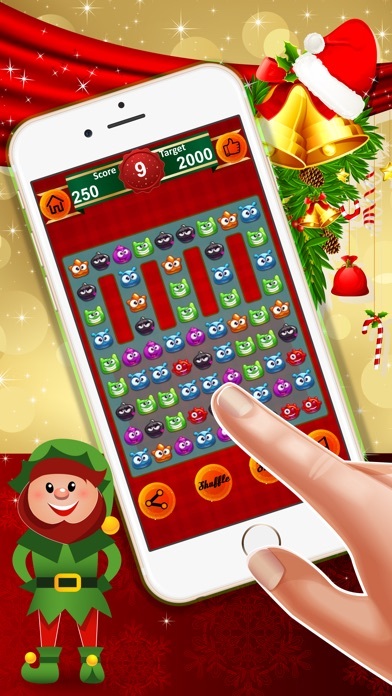 if you are beginner for Match 3 game then this is the perfect game for you. lots of beginners stuff. 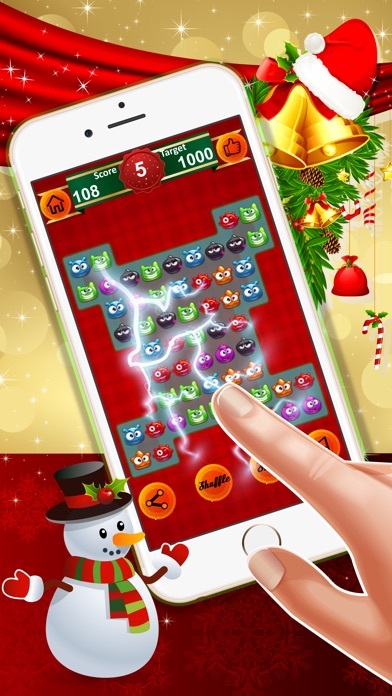 Match and Reach target score with limited amount of moves its challenging Feature of Gummy Emoji Crush- -Designed for all ages. -A CHRISTMAS THEMED gameplay. -Exclusively for Beginners of Match 3 game style. -300 + unique levels with blasting fun. -lots of fun and never ending gameplay. -share with your friends.